So, You want to build your brand. Efraín “Lopito” López, Ileana Font and Howie de Jesús are the founding members of Lopito, Ileana & Howie Inc. These great minds gave birth to a multinational enterprise that has helped define the culture of an Island. Get in touch with us today! NOT JUST CONTENT CREATORS, CULTURE CREATORS. Our WORK is locally groomed in order to transcend into the cultural conscience of Puerto Ricans and its diaspora communities abroad. Check out these commercials that defined the language of our people. For over 40 years we have proven to be a world-class agency. here are some local and international awards Lopito Ileana & Howie has received over the decades. WE WORK HAND IN HAND WITH OUR PARTNERS TO GIVE YOU THE BEST POSSIBLE EXPERIENCE AND RESULTS. “ICOM is the world’s largest network of independent advertising and marketing communications agencies spanning more than 65 countries. ICOM is fast, cost-effective, multi-local and independent with 80-plus member agencies based in 60-plus countries, covering 95% of the world’s markets”. 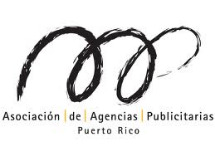 WE WENT FROM BEING A TRADITIONAL AGENCY TO AN AGENCY THAT also OFFERS FULL DIGITAL SERVICES, CAREFULLY ANALYZING GLOBAL TRENDS AND ADAPTING THEM TO OUR “BORICUA” LIFESTYLE. We believe a good relationship with a client is based on a love for their product. That way our only job is to spread the love. and distinguished Efraín "Lopito" López, as an inspiration to do so. We promise to get in touch as soon as possible. Best! LOPITO, ILEANA & HOWIE INC.